Metric units series used most widely in Japan. 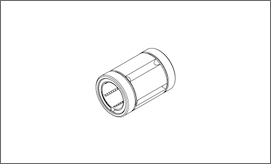 There are two series of the Linear Bushing in dimensional group. 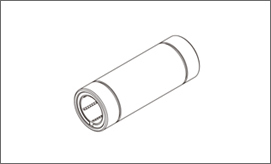 Metric units series of cylindrical types commonly used in Europe. 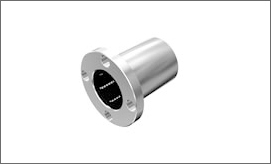 Since an ordinary circular flange is integrated with the nut, this model can easily be mounted. 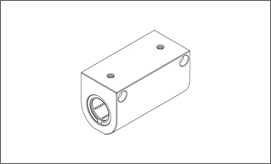 Based on model LMF, this type has a square flange. 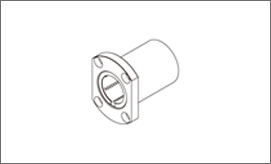 Since the height is lower than the circular flange type, compact design is allowed. 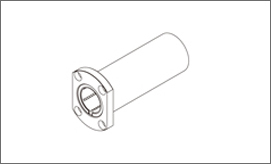 Like model LMF-L, this type also has a flange, but the flange is cut to a square shape. 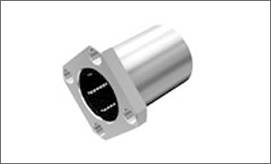 Since the height is lower than the circular flange type, compact design is allowed. 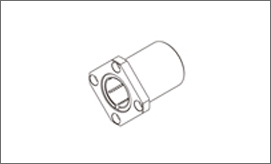 The nut is integrated with a cut flange. 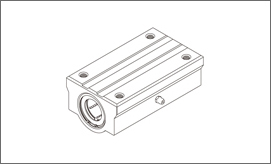 Since the height is lower than model LMK, compact design is allowed.Since the rows of balls in the Linear Bushing are arranged so that two rows receive the load from the flat side, a long service life can be achieved. 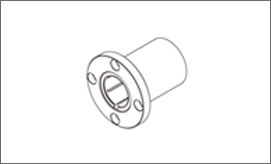 The flange is a cut flange and lower than model LMK-L, allowing compact design.Containing two units of the standard retainer plate, this type is optimal for locations where a moment load is present.Since the rows of balls in the Linear Bushing are arranged so that two rows receive the load from the flat side, a long service life can be achieved. 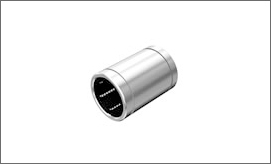 A long version of model SC, this model contains two units of the standard type Linear Bushing in an aluminum casing. 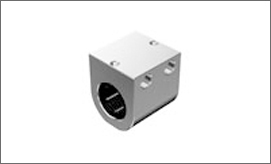 It is a case unit where the standard type of Linear Bushing is incorporated into a smaller and lighter aluminum casing than LM Case Unit model SC. 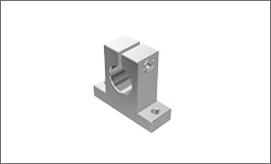 This model allows even more compact design than model SC. 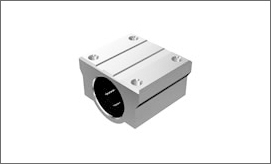 In addition, it provides freedom in mounting orientation. 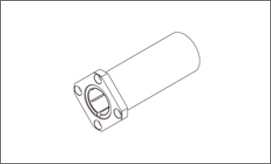 A long version of model SH, this model is a case unit that contains two units of the standard type Linear Bushing in an aluminum casing.